Faulconbridge is a small township in the mid-Blue Mountains. It is also a place of some importance in Australia's political and artistic history. Faulconbridge was formerly the home of Sir Henry Parkes (1815-96), the Father of Australian Federation. By this we mean that he was the main proponent of uniting all the British colonies in Australia (New South Wales, Victoria, Queensland, Tasmania, South Australia, Western Australia) into one country called Australia. Parkes is now buried in a small reserve not far from Faulconbridge Railway Station. 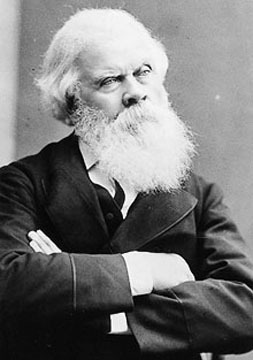 "Sir Henry Parkes, Father of Australian Federation, five times Prime Minister of New South Wales, arrived in Australia 25 July 1839, worked as station-hand, Customs Officer, bone and ivory turner. In 1850 became proprietor of Empire Newspaper. Member of New South Wales Parliament from 1854-1894, Sir Henry Parkes is especially remembered for his efforts to develop New South Wales Education and Railways and his work for Federation earned him his title Father of Federation." 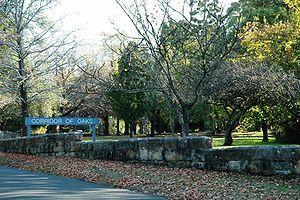 About 1 km from Parkes' grave is the Prime Ministers' Corridor of Oaks. In this pleasant park an oak tree has been planted for each of Australia's Prime Ministers since Federation. The first oak tree is for Edmund Barton, who was Australia's Prime Minister from 1901. Some of the recently planted trees have mysteriously disappeared, perhaps with the aid of the political opponents of the Prime Ministers those trees represented! 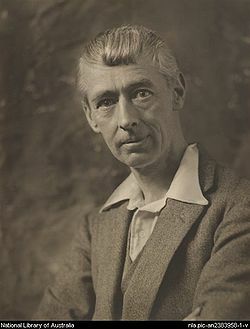 Norman Lindsay, a famous and controversial Australian artist and writer, used to live in Faulconbridge. His home and artist's studio have been perfectly preserved as the Norman Lindsay Gallery and Museum. Visitors can now see a fine selection of Lindsay's paintings, drawings, etchings, woodcuts and ship models there. The streets surrounding Lindsay's house are now named after the characters in Lindsay's famous children's book, The Magic Pudding, for example: Bill Barnacle Avenue, Bunyip Bluegum Road, Dobson Dorking Place, Magic Pudding Place, Patrick O'Possum Place, Uncle Wattleberry Crescent and Watkin Wombat Way.